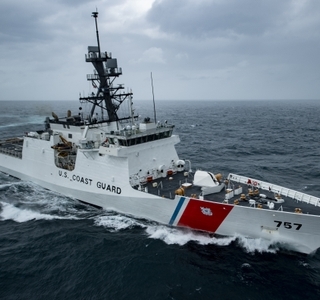 PASCAGOULA, Miss., Aug. 17, 2016 (GLOBE NEWSWIRE) -- Huntington Ingalls Industries’ (NYSE:HII) Ingalls Shipbuilding division hosted Gen. Robert Neller, the 37th commandant of the U.S. Marine Corps, on Wednesday. 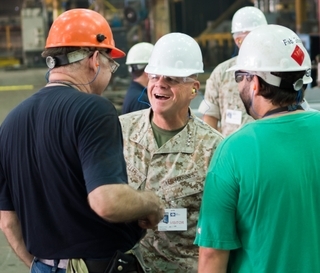 Neller met with Ingalls leaders and toured the shipyard, including two amphibious warships currently under construction. 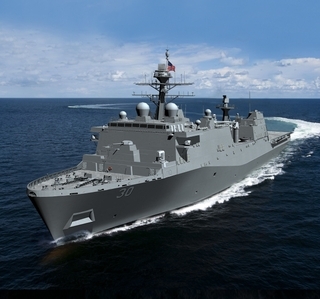 Neller received briefs on the four classes of military ships Ingalls is building for the U.S. Navy and Coast Guard and then toured the amphibious assault ship Tripoli (LHA 7) and the amphibious transport dock Portland (LPD 27). He was able to meet craftsmen in various fabrication shops as he toured the shipyard.